Mexico City remain one of the most incredible city destinations for travel. A chance for the traveler to experience culture, cuisine, history, nightlife and more. 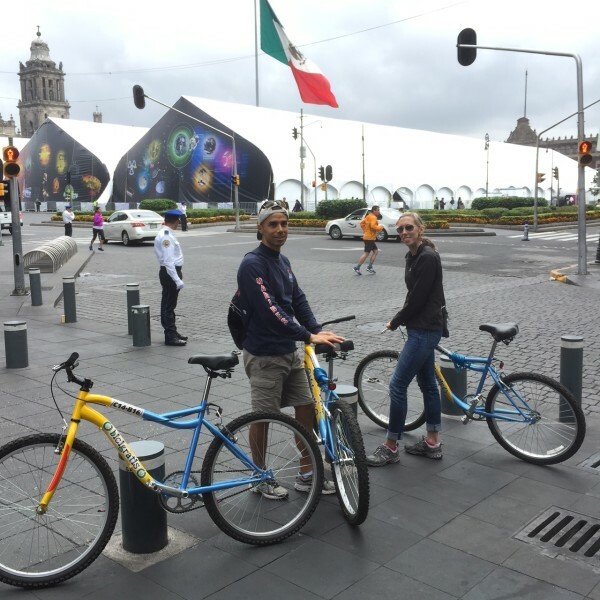 It offers luxury options, guided tours such as Stay AdvenTours to Mexico City, and also can be experienced on a budget. According to BudgetYourTrip -,the average expenses for a day of your Mexico City trip should be around $38. To do that, you’ll need to spend your money wisely. Know where to save and what to splurge on in order to get the best Mexico City experience. Getting around Mexico City on foot is impossible because the place is too big. However, the transportation system within it is very well-developed and ticket costs are low. Therefore, you’ll need to research all bust and metro routes in advance to save as much money on transportation as possible. Note that you need to do this while at home as the infrastructure is very complex, so it will take a lot of time. Whenever possible, try to stick to Mexico City Metro. It’s the most efficient and rather safe way to get around the city. However, do not be quick to spend money you save by choosing a bus ride over taxi unless it is an emergency or when you need a ride late in the night. At this time, certified taxis are the safest option. Mexico City has quite a few interesting attractions and you can see the majority of them for free. One of the best opportunities for city exploration is free bike rides, which are available every Sunday and during some holidays. If you want to enjoy a more in-depth study, you can look up free walking tours in Mexico. These have guides and allow you to see the main attractions of the city at a pace that makes it possible to truly enjoy the views. You will also get a chance to learn a bit of history and ask questions. Mexico City has about 150 different museums, and many of them are free. If you are on a very tight budget, stick to those options. You can also try to time your trip so it falls on the Noce de Museos. This night you’ll get a free pass into any museum in the city. Be sure to get a good nap during the day so you can stay up all night. The money you save on free tours can be used to pay for tickets to museums and galleries. 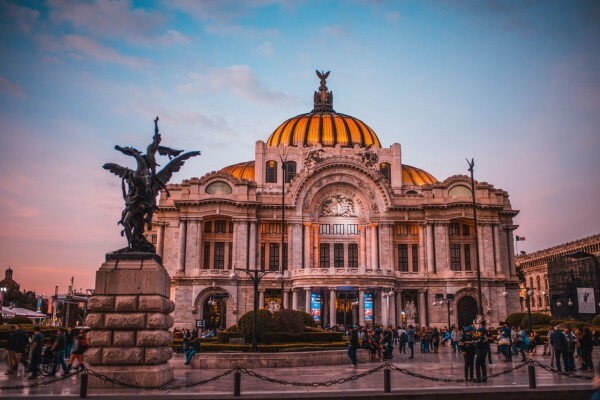 Some must see staples include; Museo Nacional del Antropologia, Museo Frida Kahlo, Papalote Museo del Nino and the Palacio des Bellas Artes. Cineteca Nacional is a must-visit place for any Mexico City trip because the building itself is a work of modern architectural art. And they always run some great movies here for cheap. When on a shoestring budget, catch a movie on Tuesdays to get a 50% discount. This is a great opportunity for some entertainment that allows you to simply sit back and enjoy the show. 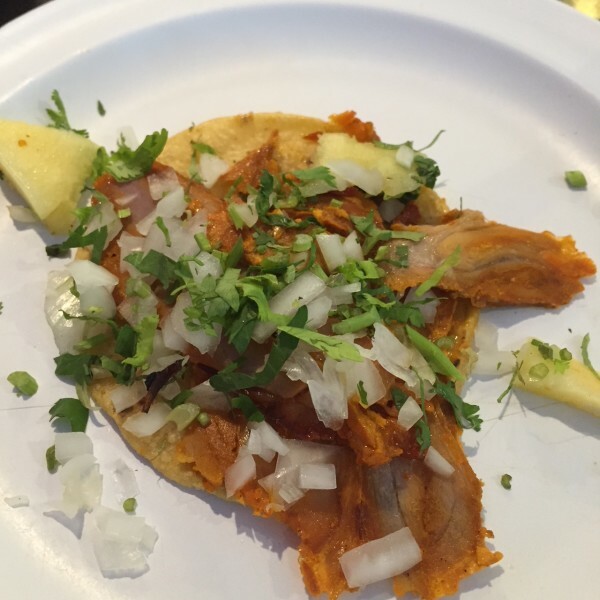 The best way to save money on food yet thoroughly enjoy your meals while in Mexico City is to indulge in tacos. There are taco stands (taquerias) everywhere around the city and each of them offers a unique taste of this classic treat. Tacos are affordable and amazing by default, and tacos in Mexico City are some of the best in the world. If nothing else, you can go on a taco tasting tour to save a few recipes to memory. Every traveler will find his or her own best taco in Mexico City by trial and error.